ATS Lawyers boasts of a team of a proper blend of experience, knowledge and good communication skills in both Vietnamese and English. The senior level members come with an experience of working with multinational firms strengthening their aptitude in English. 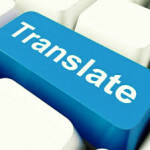 In our team there are also foreign associates whose proficiency in English helps us to achieve accurate translations. With such a reliable team, ATS Lawyers ensures to provide quality legal translations of documents. Our team is totally aware of the importance of proper understanding and usage of the legal terminologies to be carried out in the legal translation of the documents. The translation is undertaken with utmost care of the legal implication of each subject phrase safeguarding that the translation version is the perfect replica of the original document in all sense. We lay emphasis on the fact that the legal translation should be precise with no room for ambiguity. We assure that quality legal translation services to our clients devoid of confusion and frustration at any stage after delivery.